Closeouts. 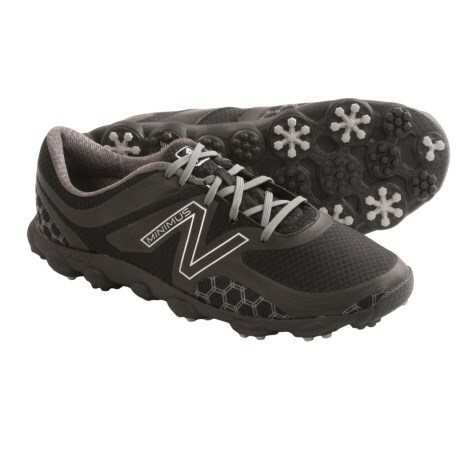 Bring the enhanced ground feel and natural fit of your favorite minimalist running shoes to the course with New Balance’s Minimus Sport golf shoes. A TPU stability cage secures the foot, and a dual-density spikeless rubber outsole offers excellent traction.